On Thursday, European Council President Donald Tusk, dismissing refugees fleeing war-torn Syria as "economic migrants," stated, "Do not come to Europe." 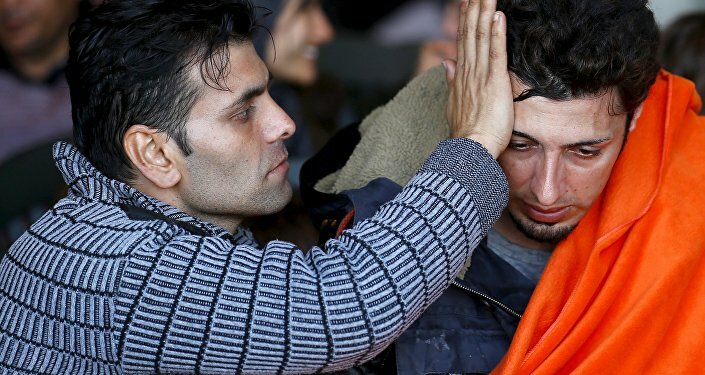 Middle East analyst Hafsa Kara-Mustapha sat down with Sputnik’s Brian Becker to discuss the dire status of Middle Eastern refugees in Europe. ​What will be the impact of European Council President Tusk’s Statements? "First of all, I have to talk about the wording he used," Kara-Mustapha told Loud & Clear. "He insisted on using the word migrant and specifically using the phrase ‘economic migrant’ when all the people presently coming into Europe are actually war refugees fleeing conflict." Kara-Mustapha expressed concern that by rebranding the refugees as economic migrants, the EU aims to alter the requirements of member states to provide asylum. "In effect, when he says that Europe should stop welcoming economic migrants he is actually changing the whole subject and making the issue about economy and migration when simply it is about refugees," she noted, adding that, "if you insist that these people are refugees then you have a duty to welcome them under all EU constitutions." By contrast, "if you refer to them as migrants then you have no duty towards them because these people are just coming for financial gain and nobody owes them anything," observed Kara-Mustapha. In reality, however, "these people are coming to Europe for safety and to avoid the horrors of war." The burden placed on cash-strapped Greece is worse than others — why is that? 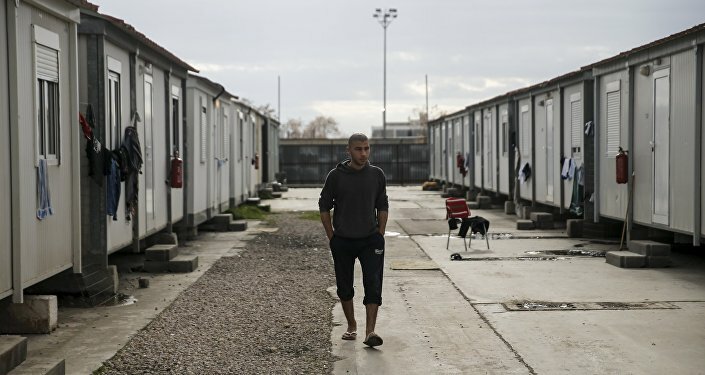 "Greece is geographically very close to the warzone, it is close to Syria, and close to Turkey, where most of the refugees are coming from, so it is geographically bearing the brunt as the natural gateway to Europe," explained Kara-Mustapha. "The moment they set foot in Greece they can actually claim asylum legally, but Greece is also geographically close so it is the first port of call for most refugees." The Greek social infrastructure, however, is ill-equipped to take on the pressures of the burgeoning refugee influx in light of austerity measures and a crippled economy. "The problem, of course, is that Greece is already a struggling country facing a difficult financial situation, it faces a lot of problems irrespective of the refugee crisis, and the fact that they have to cater for, at minimum, 2,000 people coming through its border means an extra burden on Greece’s finances." Despite Greece facing acute financial difficulties, largely as a condition of maintaining EU membership and managing an onerous debt, their European colleagues have largely turned their backs on the Athens government. Kara-Mustapha noted that, "sadly, Greece has to face up to the refugee crisis almost on its own because, despite repeated requests that other EU nations accept strict quotas to help Greece cope with the situation, the other EU nations continue to pass the buck and refuse to take responsibility." What will happen with the 10,000 refugees stuck at the Greek-Macedonian border? "The situation is dire and the refuges don’t know what will happen next," said Kara-Mustapha. "The countries where they are stranded cannot afford to keep them so it is a very difficult and inhumane situation." She believes that the refugees have been stranded on purpose as a means to slant public opinion. "Europe is leaving a humanitarian crisis on the Greek-Macedonian border to fester because the more it festers the more local populations will turn against these refugees, the more it will impact local governments, and the more borders will close." "I believe there is a concerted effort to allow the situation on the Greek-Macedonian border to fester in order to poison the refugee crisis further to make it far more difficult for public opinion to accept the idea of welcoming more refugees," she stated. Will the situation trigger the collapse of the European Union? "Yes," Kara-Mustapha noted, suggesting that, "all it would take is for one country to close its borders and say that they do not sign up to the Schengen Agreement anymore for all of the others to say ‘well, why should I respect the deal?’"
This existential threat to European unity, however, did not begin with the Syrian crisis. "This is something that has been happening for a while with the scourge of Islamophobic sentiments brewing throughout Europe since the 9/11 attacks in the United States." Kara-Mustapha believes the situation in Europe has only become more untenable since the Paris attacks only months ago. "You have some European countries now saying that specifically they do not want Muslim refugees, that they’ll accept Syrian Christians but that they do not want any part of Muslim refugees." What has the impact of the refugee influx been on domestic politics in Germany? "About a year ago, Angela Merkel, had an approval rating of 75%, today it is down to 47%, so the current public opinion polls show that the German people have turned against her due to her decision to welcome refugees." Specifically, while other European countries remained reticent about accepting refugees, Merkel’s administration committed the German people to taking in over 1 million asylum-seekers. "Perhaps the decision came from a genuinely good place, she saw the humanitarian crisis and felt her country could lend a helping hand," commented Kara-Mustapha. She added that, "there is also the stain of Nazi Germany and this was also an opportunity for Germany to correct a previous wrong." Nonetheless, despite "Nazi Germany’s impacts on the national psyche of the German people," Kara-Mustapha sees the decision by Merkel as one that has been increasingly unpopular with the German people. The analyst cites the growing influence of many German neo-fascist groups, as well as those throughout Europe, as an increasingly vocal influence attempting to steer public opinion against pro-refugee policies. How did the situation devolve to the worst humanitarian crisis in 70 years, and how do we fix it? 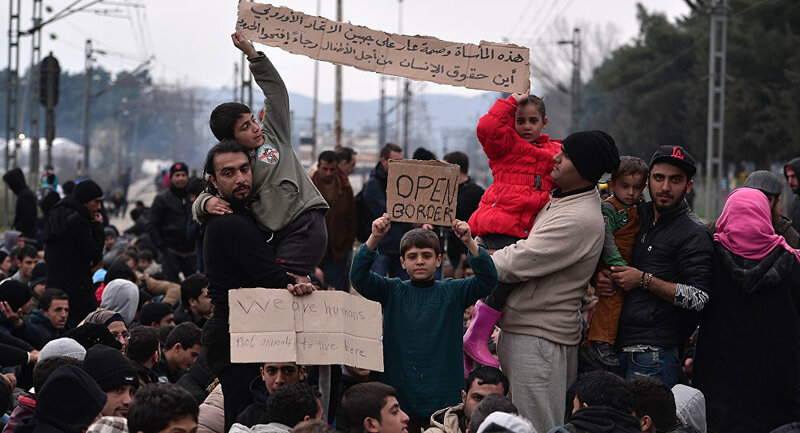 Kara-Mustapha sees the Syrian refugee crisis, as well as preceding refugee crises related to the conflicts in Iraq and Afghanistan, as a consequence of Western neoconservative policy. The key, in her opinion, is to create stability in the region by defeating Daesh and ending the fascination with deposing Middle East leaders who are not friendly to multinational petroleum corporations. She suggests that this will stop the flow of Syrian refugees and allow people to return to their countries. Kara-Mustapha calls on the West to accept that Syrian leader Bashar al-Assad is the legitimate leader of the Syrian people and to help his government in the fight against Daesh, rather than continue the increasingly futile attempts to depose the Syrian President by funding anti-government extremist militias.